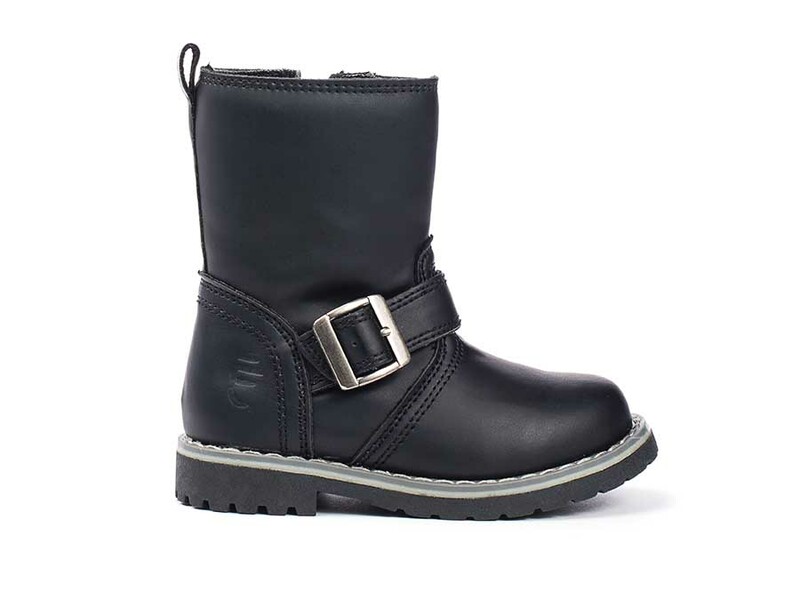 Our Tanner boot is made of high quality synthetic leather and a gunmetal buckle to create an adorable mini-moto boot for your little man. 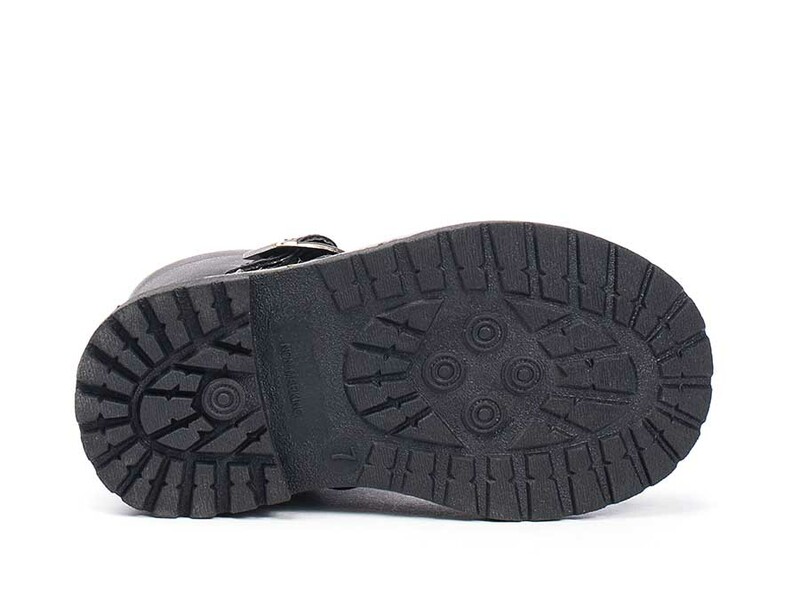 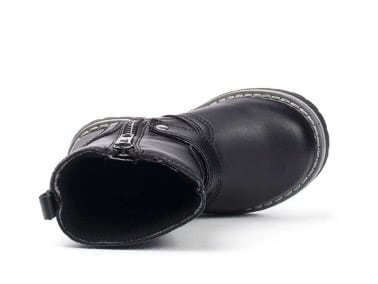 The lug bottom, rubber sole adds extra traction and stability to support early walking while the zipper closure opens wide to make it easy to get on any foot. It is the perfect boot for any occasion.